(October 17, 1911) NEW YORK–These two men hardly need any introduction, but we’ll give them one anyway, starting with the A’s right hander, “Colby” Jack Coombs. PHILADELPHIA. Coombs immortalized himself in Philadelphia last year by winning 31 games in the regular season with a 1.30 ERA, followed by 3 World Series wins. Due to that performance alone it is doubtful the name of Jack Coombs will ever be forgotten in the City of Brotherly Love. This year, he was not quite as smashing, finishing with 28 wins but an ERA over two points higher, at 3.53. 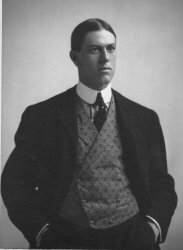 The Colby College graduate is one of the few educated men in the sport, and the bespectacled Coombs was thought to be heading into the world of chemistry until Connie Mack and a check for $2,400 changed his plans. Well, in 1910 he discovered the formula for getting the opposition out, but has he lost his magic? We’ll find out this afternoon if his above average fastball and devastating drop curve confound the Giants, or if 1910 was just a flash in the pan. And keep this in mind too: Jack swings a mean bat, and hit .353 on the season. One other note heading into today’s game: catching Coombs will be Jack Lapp, filling in for Ira Thomas. NEW YORK. 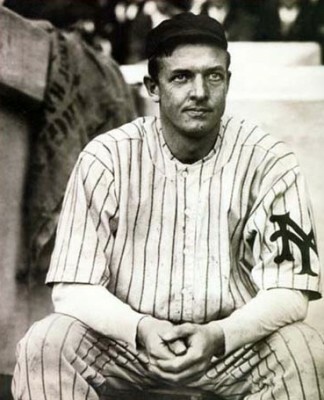 If there is a schoolboy in America who does not know the name Christy Mathewson, I should like to meet him. There are few bigger heroes in America than Matty, who has 255 wins since 1903, and an annual ERA that rarely pokes its head above 2. This season he was 26-13 with a 1.99 ERA in 307 innings pitched. He set a National LEague record for win in 1908 (37) that will be tough to break, now or ever. But he’s more than a great pitcher, he’s an American icon, endorsing everything from sweaters to leg garters. The Bucknell grad is handsome, smart as a whip, and such an impressive scribe that he regularly gets writing assignments from the New York Times. There is no bigger star in baseball than Christy Mathewson. Of course, Matty nearly became a Philly native himself, though not with today’s opponent. After going 20-2 on a Norfolk, VA farm team in 1900, he was given a choice between going to the Giants or the Phillies. He went with New York, and what Philadelphia has missed out on the past decade it will get to know all too well today. And so, at 3 p.m., we’ll get to see two of the best educated men in baseball square off against each other in the Polo Grounds. We will of course carry Game 3 live here on our Playograph.